Would you like to have your own business and be financially independent? This is the dream of many of us and the biggest impediment most people experience is the lack of funds or lack of knowledge. It is useless to have a great idea and resources in your hands if you don’t know what to do with both of them. However, starting an affiliate business is one of the best ways to get started. In this review, we will take a look at The Super Affiliate Network. Our goal is to determine whether the super affiliate network is legit or scam? The super affiliate network (SAN) was founded by Misha Wilson, who managed to become the fastest growing Internet marketeer at a very young age, compared to the rest of the people that made it in this domain. This has lead to excitement about his program which he claims will help many achieve financial independence. So, it is definitely worth taking a look at what he has to offer and how his network can help you grow. What is The Super Affiliate Network (SAN)? The super Affiliate network as the name suggest is a network of skilled and aspiring online marketers. The main goal of this program is to teach you how to make money, mostly by promoting this program to your friends, family and others online. Besides giving you the products that can be sold in order to help you gain profit, this network promise to give you all the support needed to become an effective marketer and salesperson in time. With the keyword being in time as it is clear that it could take months to make consistent income online. So, a course meant to help you turn into a successful affiliate and an entire community that can give you practical tips and advice will be available as they promise. This program shares a lot of similarities to many MLM programs as you have to be a paid member of a particular level to make commission for referrals who join that level. This means that, if you refer someone to the program and they join a level of membership above yours, you will make no money for it. 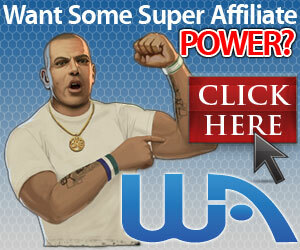 This way, members are encouraged to pay for all the levels of this program in order to make more money as affiliates. Your profit is their profit as well, at least partially, so the more members you recruit, the more money you make and so does the network. Of course, this shouldn’t bother you, if you manage to earn a good amount of money and manage to become your own boss. You should however, know that this network focuses their training around ways to promote their program. So, you won’t learn about ways to start a website and build a personal business around what you like. Before you ditch your day job be sure you are OK with the ethics of the business. Also, you want to wait till you see that things are going in the desired direction. If you are to become a member of a network, most certainly you want to learn more about who created it. It is said that choosing successful people as your example will motivate you to work harder in order to reach a similar level of success. The truth is that you have much to learn from people that weren’t afraid to do things their way, even if that meant to face failure. The fact that they are willing to share their knowledge is great, as this may fill in the blanks we have when it comes to being effective entrepreneurs. According to his website, Misha Wilson is an expert when it comes to traffic and conversion on the Internet. He managed to gain a lot of credibility and success at a very young age. After doing a bit of digging on the Internet using his name, it appears that Misha worked for some companies related to the networking marketing sector. He was very successful no matter where he worked. He had the idea of creating his own networking marketing company when he noticed that most of the members of his networking team were rather unsuccessful when it came to network marketing. He then realized that other people may encounter the same issues, so he decided to change things by creating The Super Affiliate Network. He states that his network will give people not just products to sell, but also the tools and knowledge required, step-by-step, to reach success in a short while. To join this program, you have two options; You can join the 30 day $1 trial and then pay $47 every month after that or you can join and start paying $37 a month right away with no trial period. With the help of the system promoted by the network, you will learn various ways to generate online sales. According to the testimonies of some members, the amount and value of the online sales are not small. Some claim to have made thousands of dollars in two or three months, by simply following the steps indicated by the video course created by Misha. It seems to be a really good deal, but do take the time to read more about it and see what you need to do in order to reach this level of success. There are 21 modules included in this membership, which are all split into three different phases. The modules will be delivered to you during a time frame of 3 weeks. The modules will provide psychology notions and will teach you how to train your mindset. It will tell you a lot about email marketing, how to build your own lists, how to sell and automate the processes, and the best follow-up methods. You will also enjoy webinars once a week and personal coaching sessions, with a business coach that will assist you during the 3 weeks of training. You can get this plan at a special offer of $97. If you purchase at any other time, outside the special offer period, the price will be $297. You will learn everything the basic training teaches and get access to a course, called “Solo Ad Success Formula”. This course will teach you about about email marketing. You will learn how to build an email list and how to sell to them. You will be taught about solo ads as a way to bringing traffic to your sales page. Solo ads is a platform where you can pay people with a huge email list to send emails on your behalf. These ads are expensive and for many people it is not very effective. Solo ads can be very useful when you are still building your list and when you know how to use it. It is possible to find the kind of information provide in this course for free on the Internet. Many people see email marketing as an overrated method, but, when employed in the right way, you can achieve great results with it. To get this particular membership, you will have to pay a one-time fee, of $2497. This price is high but it is not the highest membership level yet. This membership plan will give you an insight into authority hacking and how to achieve systematic profits. The Solo Ad Success Formula will be available here as well, although we are tempted to believe that, considering the price, it should be a more advanced and detailed formula this time. You will also get information about the magnetic selling machine used by successful entrepreneurs and the push button swipe file. Of course, you will get monthly immersion coaching and weekly pro coaching as well. Being a pro member means that you will get access to the private Facebook group of the company as well and get to know about products that are going to be developed in the future. That is unless those products are over your membership plan. This is the last and most expensive membership plan for The Super Affiliate Network. Considering that the training sessions will take place in Maui, where you will be face-to-face with your coaches and mentors, this membership comes for the stunning sum of $12,497. The mentoring session will take place for 4 days in Maui, Hawaii, and it’s supposed to give you the same kind of information as the one offered by the previously mentioned memberships, but in a more concentrated form and surrounded by gorgeous scenery. The idea is that if you’re going to pay for the knowledge and tools, you may want to know if you’ll reap any results out of your investment. And if so, what kind of results are we talking about? As I mentioned earlier, you make money by promoting this program and recruiting members. The more members you recruit, the more commission you will make. The products they talk about are the various membership levels of this program. They do not focus on teaching you how to make money with typical marketing techniques. You will not be taught about ways to build a website and make money with some other thing you like. You will be encouraged to upgrade your membership as this is the only way you will make more money from commission if you recruit someone. The network provides members with some readily-made solo ads, so you can start your traffic system right away. However, as soon as you figure out how things go, it is recommended to come up with your own way of approaching customers and ad system. Why is this a good idea? Just think about it. The network provides the same kind of packages to new members over and over again. The same solo ads and lists will be used by numerous people and this can lead to the over-exploitation of a method. In other words, some people may end up receiving the same kind of emails and advertising from several people, which can be confusing and alarming to say the least. If you’re trying to get into the online sales business, this network can jump-start your business but do not hesitate to invest time and effort in finding new ways of applying the gained knowledge. The owner is a real successful person unlike owners of some similar programs who are just pretending to be successful or are fake. You will not be taught vital marketing techniques like generating free organic traffic. You will be taught to generate traffic with paid ads which in addition to the high price tag of the program is very expensive. This program has some features of MLM as you have to be a member of a level to make commission from it. This way, they pressure you to spend more and more. Then in order to make your money back, you will have no choice but to promote this program to others. They do not have an actual product to sell other than their membership. For a program that has caused so much hype, I expect more. Some levels of the courses are locked. You have to contact your coach to get to these levels and you have to do so several times through the duration of the training. So don’t plan on doing them at odd hours and be prepared to wait patiently for your coach to respond. 30 day limited money back guarantee. You have to meet certain criteria to qualify for the money back guarantee. Is super Affiliate Network (SAN) a scam? I do not think that the super Affiliate Network is a scam. The Super Affiliate Network can help you earn money when you promote the network. They teach email marketing and paid ads techniques which are very expensive to sustain. There are several programs like this online and most of them recommend solo ads for drawing traffic to your business. This has lead to over use and the ROI is a disaster. Like any online business, you should not expect to make profits without being willing to spend time and money into building your business. This is where I tell you that there are many programs out there that provide more training for less. Some of them offer free membership and the training in the free member’s area area enough to get you started. If you want to join super affiliate network, start out small, with the basic membership, and work your way up as you manage to acquire knowledge and experience in this industry. If you want to learn about other programs that offer training in online marketing, read my review of Affilorama and Wealthy Affiliate.